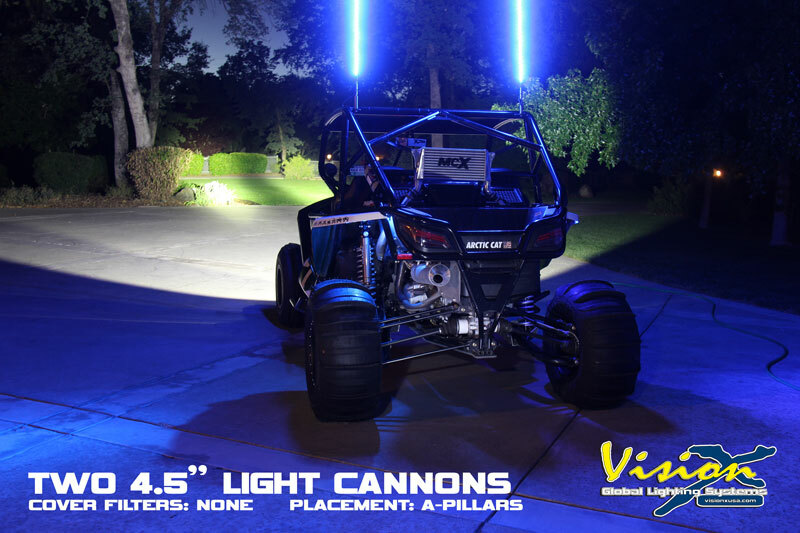 Algona, WA (7/17/13) – The recent debut of the 4.5″ Light Cannon has rocked the lighting industry by providing an affordable high performance option to both traditional halogen and modern LED lighting. The Light Cannon combines multiple technologies including, a large proprietery IRIS reflector with an exclusive single 25 watt Luminus big chip LED to provide 1000′ of usable light, in a lightweight, easy-to-mount design. Available cover filters change beam patterns and light color in a snap! Shining distance and versatility per dollar is unrivaled. So what does 1000 feet of Usable Light really mean? Vision X defines Usable Light as: The furthest distance at which 1 lux of light is present, typically enough light to read a standard newspaper (Young-ins you’ll need to Google: newspaper). The 4.5″ Light Cannon actually shines beyond 1000′, however Usable Light at 1 lux is really what the user wants to know. For the sports fans, that’s over 3 football fields of usable light, not bad for only $229 MSRP. 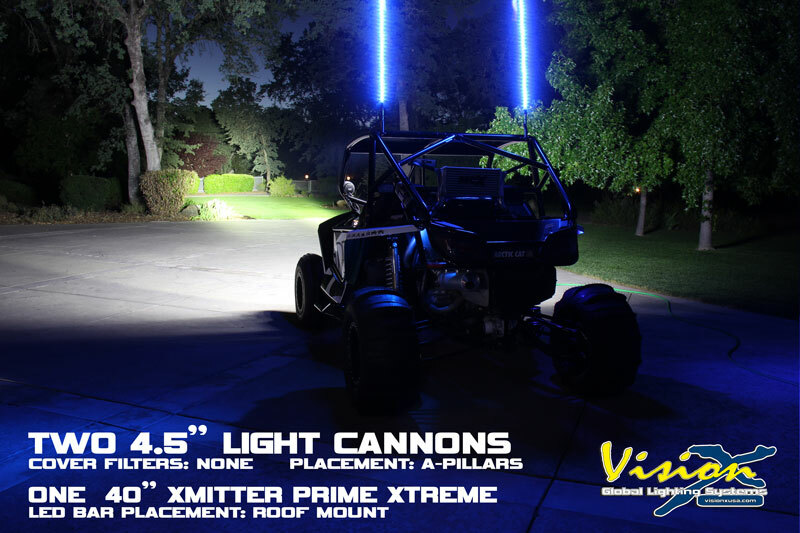 Vision X 4.5″ Light Cannon Kit (CTL-CPZ110KIT) accompanied by 40″ Xmitter Prime Xtreme LED bar (XIL-PX7210). 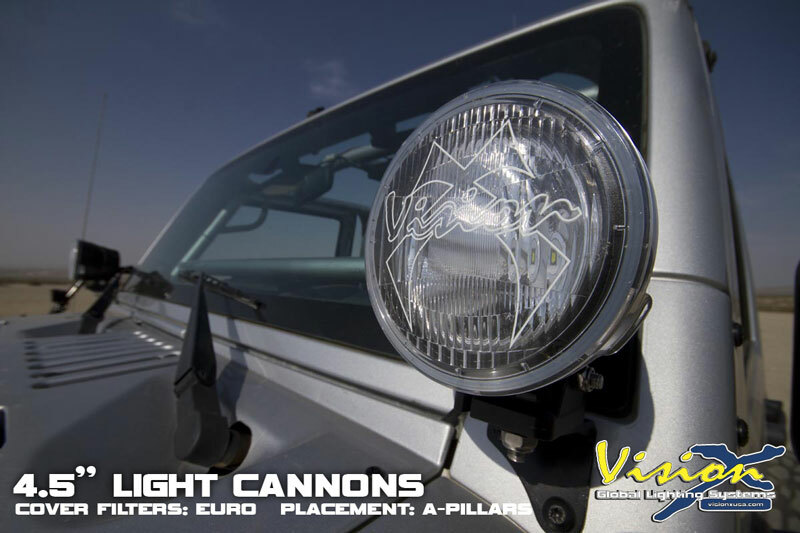 Vision X 4.5″ Light Cannon LEDs with Euro covers mounted on Jeep JK A-Pillar mounts. 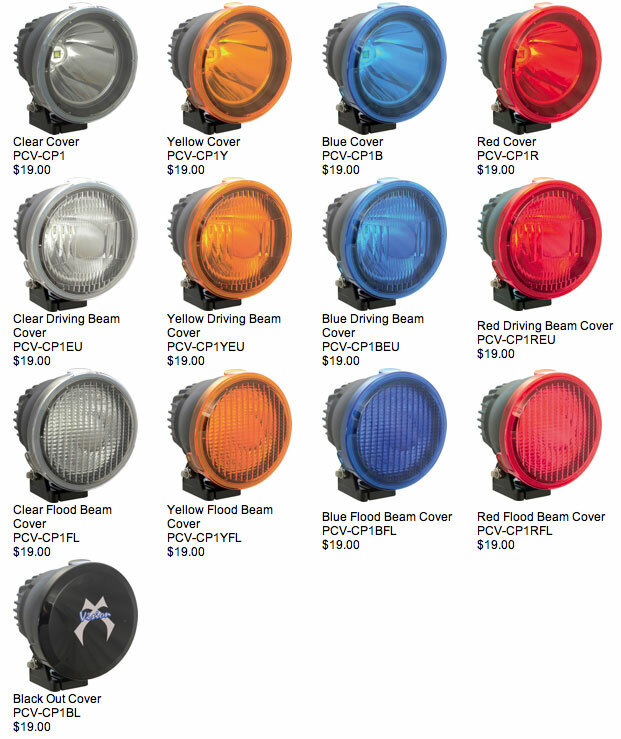 4.5″ Light Cannon LED Cover/Filters $19 ea.